When you vacation at Sands Beach Club II, you can expect excellent amenities, comfortable accommodations and a great location. This pleasing North Myrtle Beach resort is an incredible value and has a wealth of conveniences to offer you and your adventurous family. You and your family will enjoy being right on the white sandy beach, where you can ride the waves and soak up some rays. When you stay at this attractive North Myrtle Beach resort, you will be close to popular attractions and amusements that have made this area the premier vacation destination in sunny South Carolina. A vacation in North Myrtle Beach, SC is one you can count on being full of fun and excitement. The thrilling North Myrtle Beach area has so much to see and do, you will never experience a dull moment. 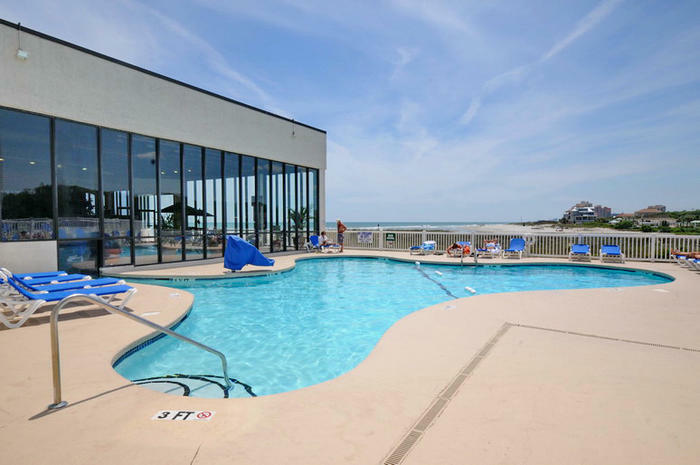 Sands Beach Club II is a great choice for families looking to experience all of the surf, salt and turf that can be found in beautiful North Myrtle Beach, South Carolina. Located right on the pristine beach that put North Myrtle Beach on the map, you and your water-loving family will have countless hours of fun swimming in the majestic Atlantic Ocean and playing along the beach. You can spend the day frolicking in the waves outside of Sands Beach Club II in gorgeous North Myrtle Beach, South Carolina. This delightful North Myrtle Beach resort caters to groups and families and has a list of amenities that cannot be topped. You and your family will appreciate the friendly atmosphere and special on-site amenities that are reserved exclusively for guests of the prestigious Sands Beach Club II resort. This stylish resort has an indoor and outdoor swimming pool as well as a wealth of other conveniences to make your stay a dream come true. This lovely North Myrtle Beach resort has tastefully decorated condo rentals for you to choose from. Many of the vacation rentals at Sands Beach Club II have stunning views of the tranquil beach and endless water of the Atlantic Ocean. When you spend your long-awaited North Myrtle Beach vacation soaking up the sun at Sands Beach Club II, you will be able to easily explore this popular area and visit many of the family-friendly attractions. This appealing North Myrtle Beach resort is close to a plethora of shops, restaurants, golf courses, miniature golf courses and day spas. Treat yourself and your family to an unforgettable vacation when you stay at this fantastic resort in North Myrtle Beach, South Carolina. Elliott Beach Rentals is not affiliated with onsite management or the HOA of Sands Beach Club Ii.